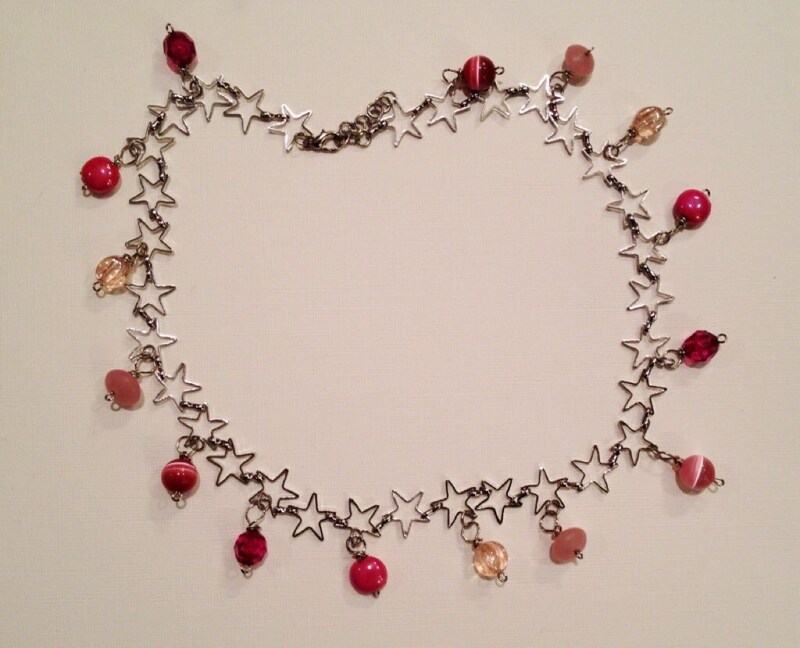 SJC10239 - Pink beads and star chain necklace. 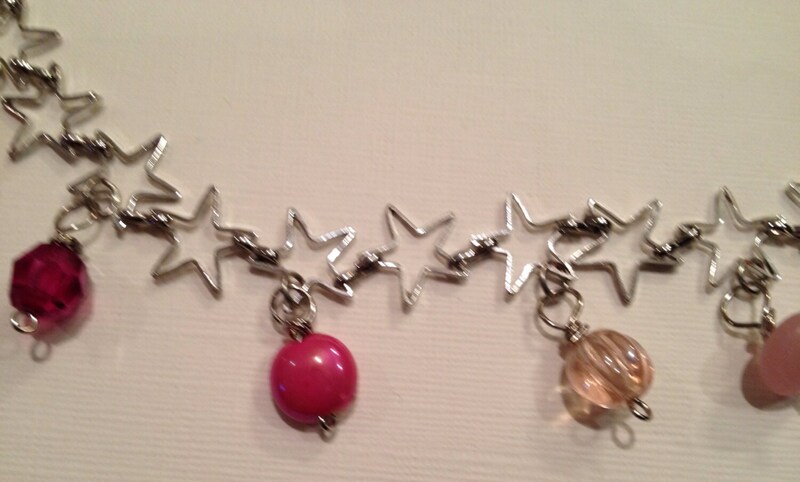 Pink beads and star chain necklace. This is made with various style gemstone, plastic and glass beads. 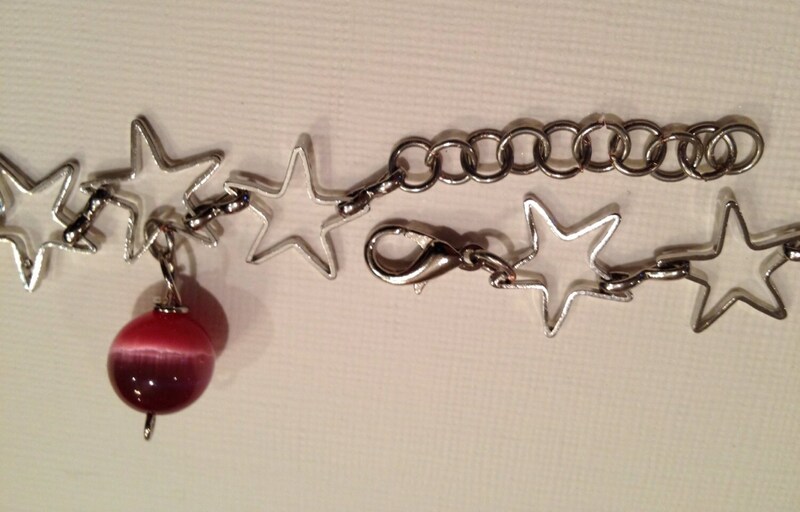 The chain consists of a stainless-steel star links. This necklace measures 19 to 20.5" long. 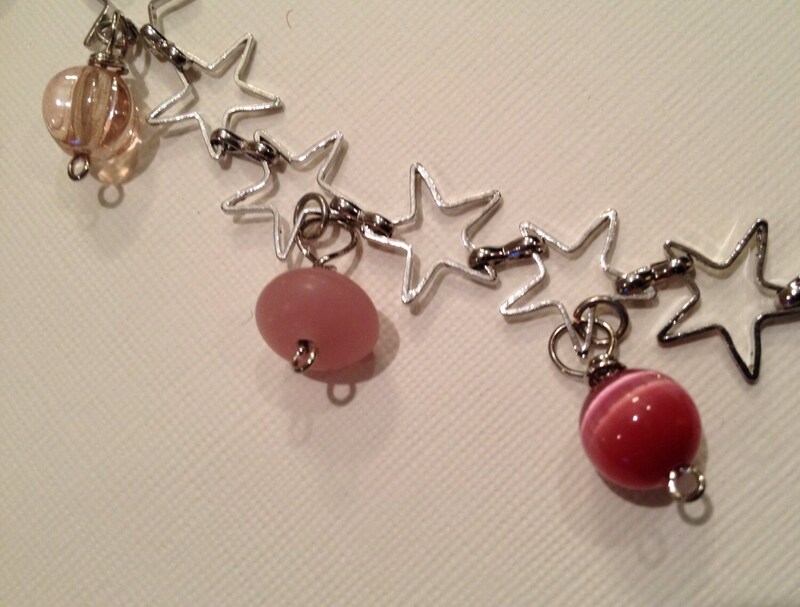 This necklace is finished with a stainless steel spring loaded hook and eye clasp set. This could also make up a nice girl's necklace.